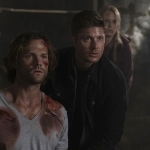 The Supernatural finale is upon us and with it came the expected events, including a season overview with “Carry On My Wayward Son” and lots of death before the hour was over. We’ve cleaned house on the show before, and know that no one is really safe, but this time it felt like we took that to an extreme. It’s going to be a long summer. 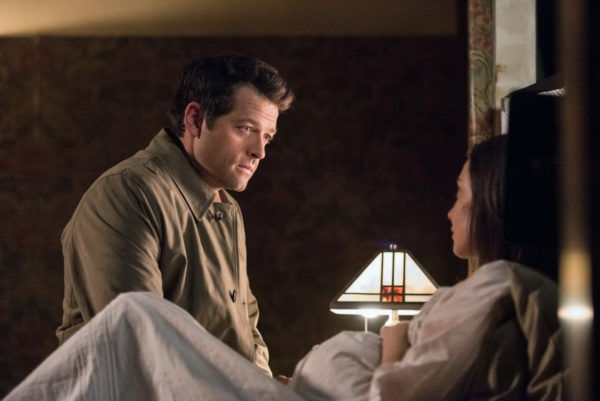 Cas is still taking care of Kelly, now secluded up in a mountain cabin as they await the birth of her son, who she has named Jack. Kelly knows that she will not be around to see him grow up, to help guide him through the perils of his heritage, but she can do something for him before he’s born and that includes putting together his nursery and recording messages so that he has a face to put to her name when she’s gone. Plus, Cas has sworn that he will raise Jack and give his life for him if it comes to that. The son of Lucifer seems to be set up for a good life. 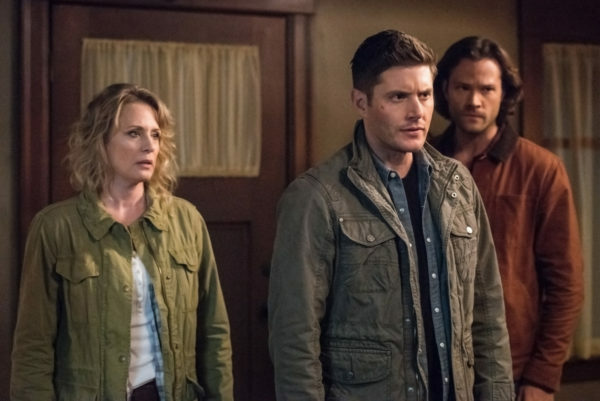 Meanwhile, the Winchesters are trying to deal with the rise of Lucifer and what the baby’s impending birth might mean. 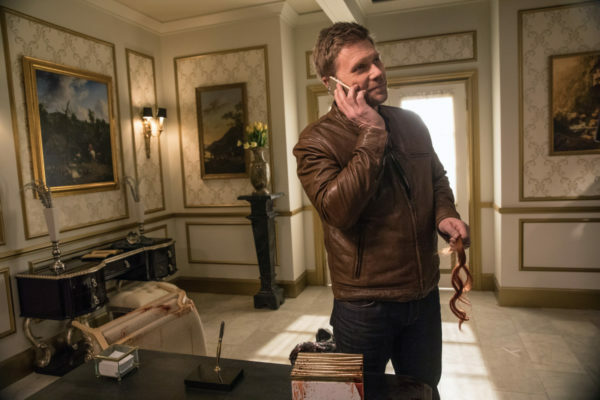 They have Crowley again as a potential ally, with his dramatic rise from the grave, but Rowena seems to be out of the picture for good. She deserved a better death scene, if she is really dead, but we don’t have time to ponder that now because there are other deaths to come and a taunting Lucifer to shake Sammy’s confidence again and again. As we all knew, the birth of Lucifer’s son is sure to bring bad things to this world. Already, we saw that he was ripping a tear between our universe and another, one where things went very bad, very quickly, without Dean and Sam there to stop it. Upside was that Alternative!Bobby was alive and fighting over on that side. Though it doesn’t do our world any good really, it was nice to see him again. What the tear does provide, however, is a potential for plot twists that I don’t think anyone saw coming. Laying out all the pieces, we had hints and teases from all the different characters. First up, there’s Crowley. He said that the time spent in the rat made him realize he hates his job. Why is he fighting to keep his throne? He doesn’t really want to deal with all the bureaucracy that goes with it. So he offers the Winchesters a deal. He will help them defeat Lucifer, who humiliated him, and in return he will seal the gates of Hell if they win. It’s a good future to think about, but one that I don’t think any of us were expecting to come true. Then we have Kelly and Jack, whose fates seemed to have been laid out before this all began. Kelly was never going to live through the birth, and Jack was never going to really be the savior of all mankind. Getting a quick glimpse of him, he indeed looks like he takes after his father more than one could imagine. I wonder if he will be next season’s enemy or if he’s just a precursor for things to come. With the amount of twists and turns in the finale, there’s plenty to work with. Before the episode was over, we saw Crowley sacrifice himself to close the portal between the worlds, Cas get stabbed in the back as Lucifer surprised him from behind, and Mary take a flying leap to seal both herself and Lucifer into the alternative reality. It was so many different emotional ups and downs that it was hard to keep up. 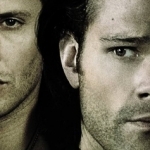 Lucifer is gone, as is Crowley, so Hell’s going to be in disarray. Mary’s not technically dead, but she’s gone, so the boys are motherless again. And then there’s Cas who appears to be dead as well, leaving Dean devastated and reeling with everything that’s gone on. But they can’t take time to mourn because they have to deal with Jack and what his birth means. It’s too much! And a long summer to ponder how they’re going to get out of this without having a nervous breakdown. 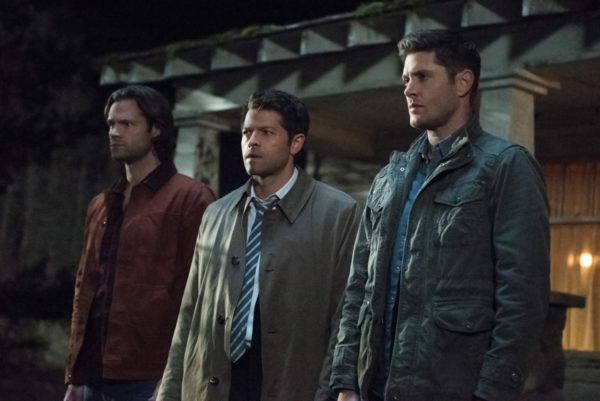 Oh, Supernatural, you do finales right.